Is your furnace or boiler broken and not working? Is there no hot water in your bathroom or kitchen? Are you looking for an affordable AC installation? Rite Rate Heating & Cooling is the best plumbing, heating, and air conditioning company in Singac, NJ! We’re the best at what we do because we have a team of expert professionals that are fully licensed and insured on all residential and commercial plumbing and HVAC systems. You can have peace of mind when you call our plumbing, cooling, and heating company! At Rite Rate, we offer 24/7 repairs, new installations, effective replacements, and routine maintenance. Give us a call anytime day or night and we’ll be happy to assist you. Our company guarantees 100% customer satisfaction and will provide you with a free estimate at your request. Does your heater make strange noises or leak? Whether it’s a broken furnace, boiler, or hot water heater, Rite Rate can handle it with 24 hr emergency heating repair in Singac, NJ! You can trust that our contractors will immediately diagnose the problem and fix it quickly. No matter if the heat exchanger needs to be replaced or the burner is broken, we’ll repair it in no time. If you’re in the market for a new heating system, let our heating company assist by recommending one based on your budget. Our professional technicians can install and offer maintenance on oil, gas, electric, and dual fuel boilers, hot water heaters, and furnaces. Once we’ve installed the new heating system we’ll then test it and schedule follow-up maintenance to ensure it’s working efficiently all year long. Don’t wait to call Rite Rate the next time you need heating repair, replacement, or installation for your residential or commercial heater! Are you looking for an affordable air conditioning company in Singac, NJ? Rite Rate is the best local air conditioning company that operates 24/7 365 days a year. There’s nothing our contractors can’t handle when it comes to commercial or residential air conditioners. If your air conditioner isn’t working or blowing cold air, we’ll get to the bottom of the issue with our air conditioning repair service. From central air conditioning to AC compressors, fans, motors, and blowers, you can rest assured we’ll fix the problem. In addition, if your air conditioner is beyond repair or you need a new one, Rite Rate offers installation services that are highly efficient and pocket-friendly. We can also offer to set up air conditioning maintenance if you noticed your utility bills have increased. Our air conditioning company will inspect the unit and restore it to its full potential. Do you have a reliable plumber you can contact when a pipe bursts, your basement is flooded, or the kitchen sink drain is clogged? Rite Rate has your back with high-quality plumbing services in the area. 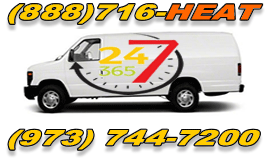 Our company specializes in 24/7 plumbing repairs, cleaning, replacements, and installations. No clog, leak, or broken plumbing fixture stands a chance against Rite Rate plumbers. Our services also extend to drain and sewer cleaning, flood assistance, water damage restoration, and much more. Our team can adequately service all brands of bathtubs, sump pumps, faucets, sinks, toilets, and showers to name a few. We can attend to the plumbing in your home or business whether it’s in the kitchen, bathroom, or basement! Contact Rite Rate today for a free plumbing estimate.